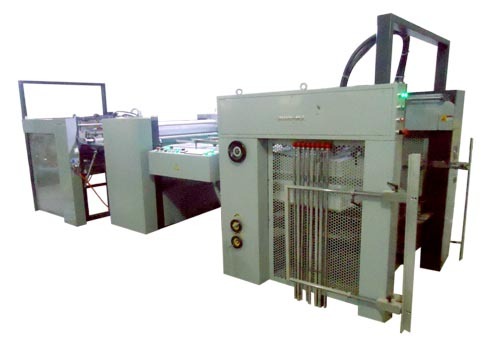 The automatic paper embossing machine with the functions like automatic feeding & collecting paper was developed at the basis of the original embossing machine with manual feeding and collecting, Full automatic control in processing. Adopted frequency governor, automatic hydraulic system and pneumatic blade, it is characterized by controllable speed, double-sheet control, automatic counting, etc. Its average can range form 3000~5000pc/h. It is applied to embossing the sheet surfaces of batches like packing products, playing cards, gift cards, golden and silver card paper, etc.